When you pay installments of your loan, not all of it goes as a payment for the principal amount of which you took the loan; some part of it goes as an interest payment. 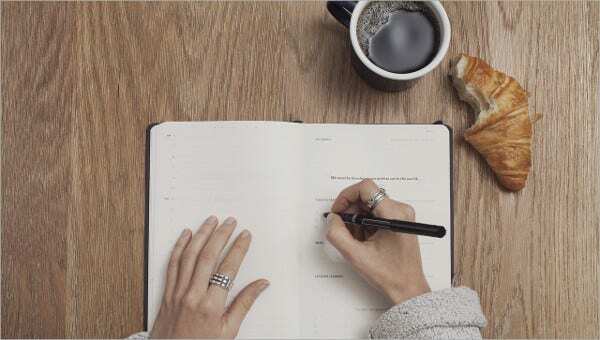 If you need to get a breakdown of your periodic installments, you can do so by creating amortization schedule templates. The below given Schedule Templates can help you in making a loan amortization schedule for your loan in just a few minutes. 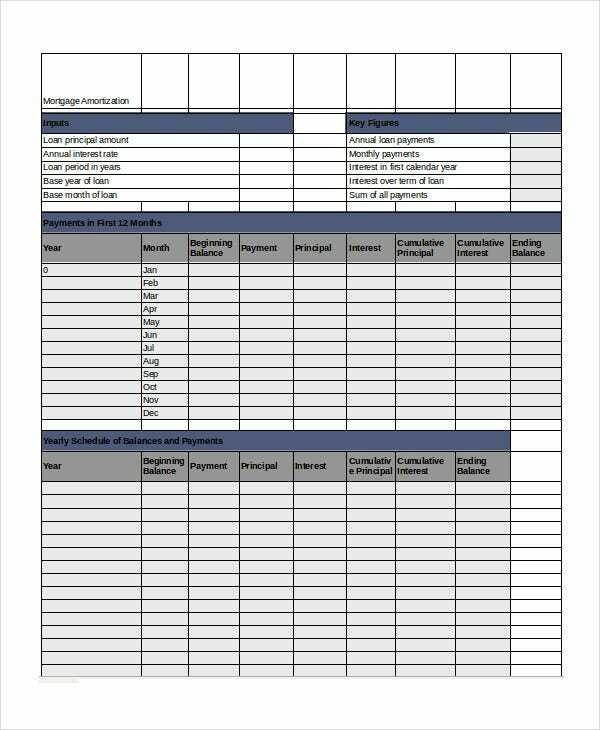 By inputting details like loan amount, interest rate, period of loan, number of payments in a year, etc you can create an amortization schedule by using this loan amortization schedule template. 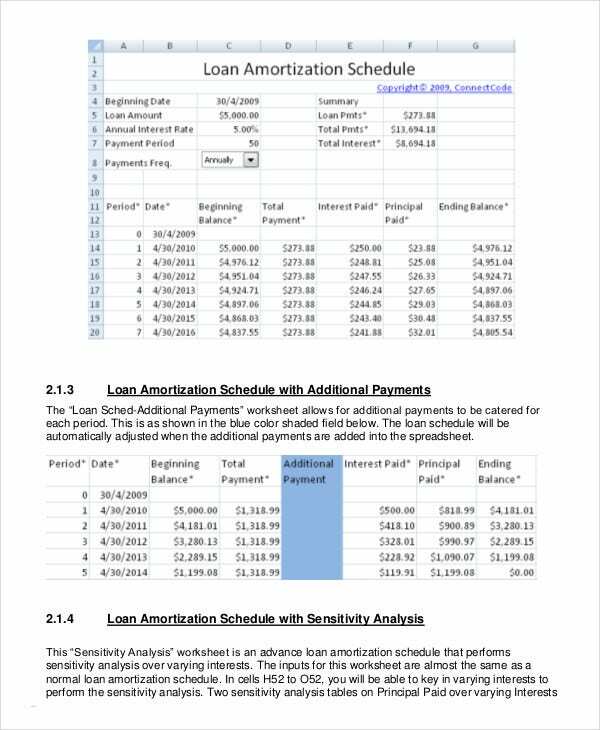 This is a loan amortization schedule template which has instructions for creating an amortization schedule and also has detailed information on how loan amortization actually works for you to understand it. > Who can use the Loan Amortization Schedule Templates? Loan Amortization Schedule Templates can be used by anyone who is looking to create an amortization schedule for their loan. If you wish to break down your periodic payments of your loan then you can utilize these amortization templates. People who have taken different kinds of loans like housing loans, educational loans, mortgages, etc can make use of these templates to create an amortization schedule for their loan payment. This is even more beneficial for those who are looking to pay back their loan earlier than the scheduled period as they can make use of these templates to calculate the principal amount of their loan left to be paid. 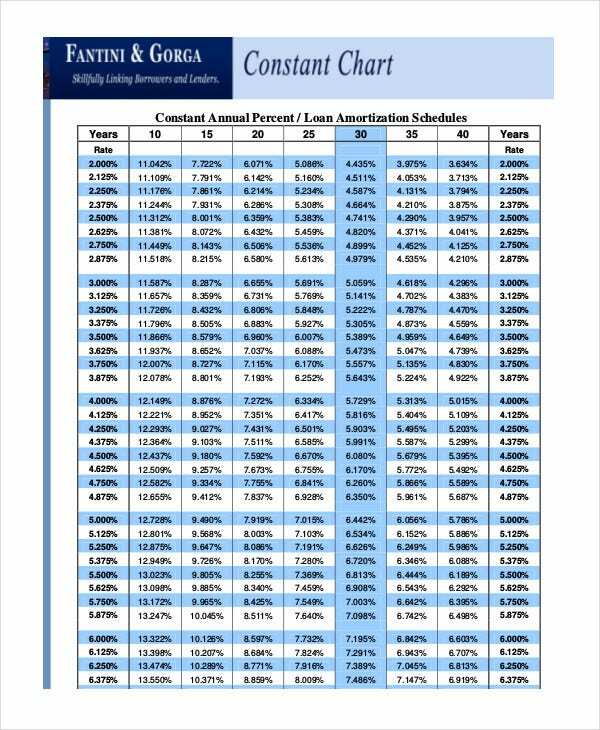 If you have taken a mortgage loan and need to make an amortization schedule for your installments, you can make use if this loan amortization schedule template. 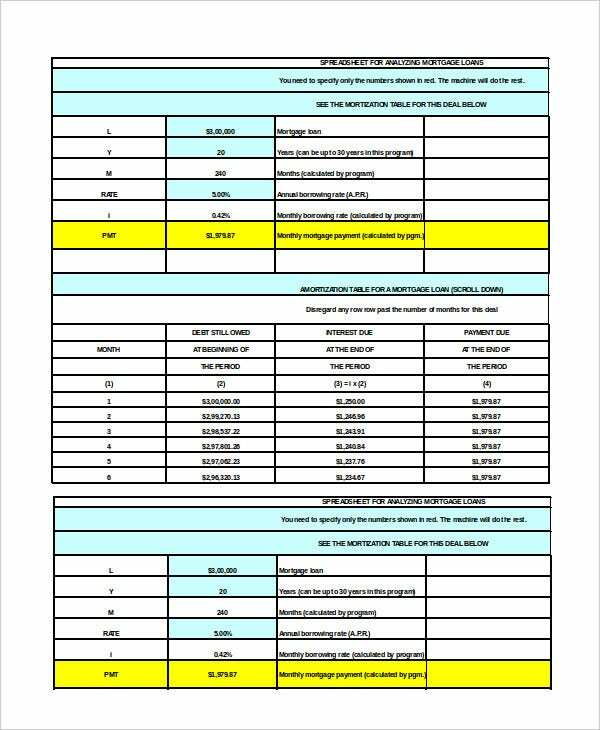 This is a loan amortization schedule template which can help you in tabulating your amortization schedule by making use of simple mathematical formulae on your principal, interest rate, and period of the loan. > How to use the Loan Amortization Schedule Templates? The Loan amortization schedule templates are of various kinds and each should be used differently. If the loan amortization schedule is an Excel template then you can use it to create your amortization schedule by inputting various details of your loan like the principal, interest rate, period, scheduled payments, early payments, etc and the predefined Excel functions will automatically generate your amortization schedule. You can also see Travel Schedule Templates. If the template contains instructions then you should follow them step by step to make your own loan amortization schedule. For templates which just contain a sample loan amortization schedule, you should use them as references to make your own loan amortization schedule. 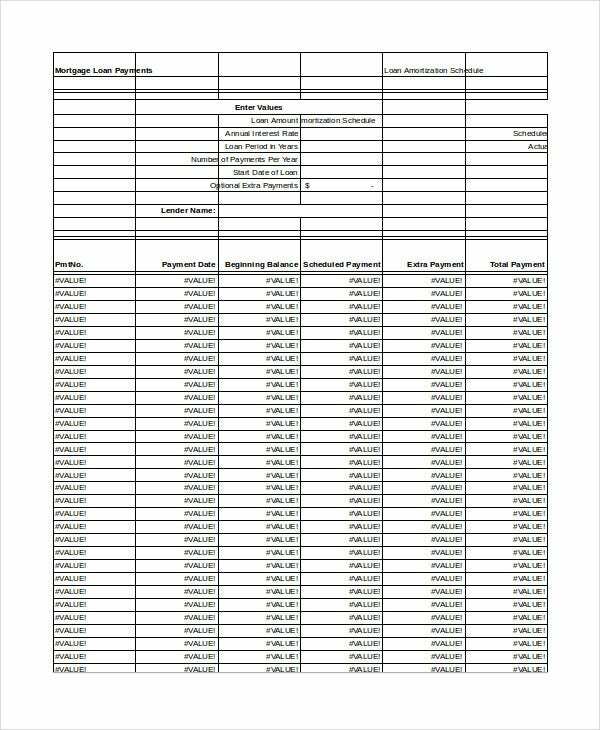 This loan amortization schedule template contains a sample loan amortization schedule which you can use as a reference to understand how to make an amortization schedule yourself for your loan. > What are the benefits of using the Loan Amortization Schedule Templates? There are various benefits of using the loan amortization schedule templates. 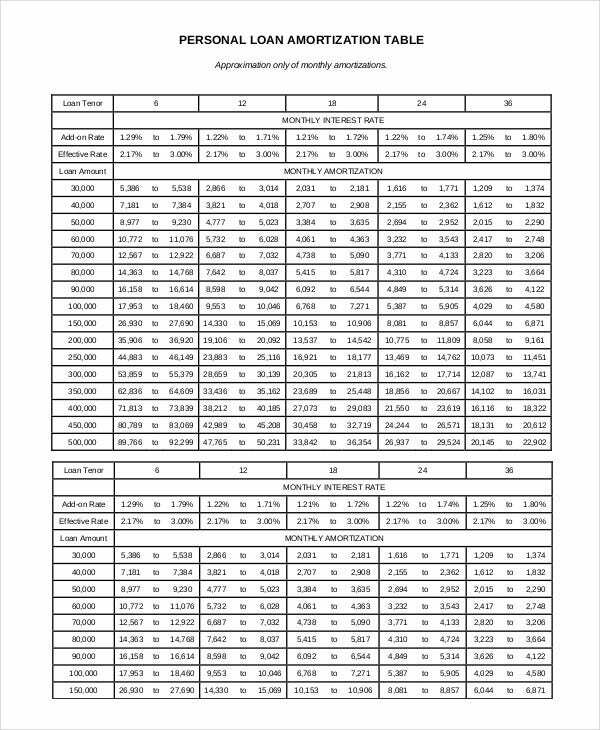 These amortization schedule templates help you in doing complicated calculations with ease. The Excel templates just require you to input your loan details and you get the amortization schedule automatically generated for you. You can also see Loan Payment Schedule Templates. Other templates contain instructions which are extremely easy to follow and enable you to generate your amortization schedule with ease. These templates help you in saving a huge amount of time. They also give you an idea of how much money you will have to spend in case you wish to clear out your loan early. There are even more templates like amortization schedule templates and loan payment schedule templates which can help you with managing your loan payments. The above-given templates are extremely useful and will surely help you greatly in managing your personal finances. Choose the template which is best suited for your loan.